Tethering support. There is a lot to parse here, and it sounds as though some of it preemptively addresses software that is yet to be released. Buttons and dials can now be locked during shooting. A fix for shutter speed info not displaying under specific settings. Overexposure when AF-C and Face Detection are selected. Fix for poor AF performance when using the XF8-135mm F3.5-5.6 WR at the telephoto end. This is a tough one. It sounds like the camera would freeze during menu selections for PC auto save. Fix for when using shoe-mounted flash and CH burst mode. Fix for Nissin i40 flash not firing. An update to the Camera Remote app was released yesterday to address iOS 10 issues. The app was getting hammered in the reviews, last I checked. Hopefully this helps. While on the topic of mobile-only workflows, Hendrik Haseu has a nice write-up on how he’s gone lighter and ditched the PC for his post processing. It’s a process he’s been refining, so you can learn from his progression. Hendrik has taken his workflow a little further than I have largely because I don’t personally worry about metadata when working mobile, but I do think about implementing his RAF+JPEG strategy at times. Making selects and processing images in camera can get tedious though. I love the technique of creating a neutral image from RAF’s that are perfectly suited to creative post processing, something I often do on desktop, but have yet to implement on tablet or smartphone. The advantage of rendering the JPEGs in-camera vs. a dedicated program on desktop is you get Fuji’s ridiculously good corrections and Lens Modulation Optimizer applied to your images. His post is yet another reminder of how much I want Fuji’s in-camera RAF processing available via a mobile app. 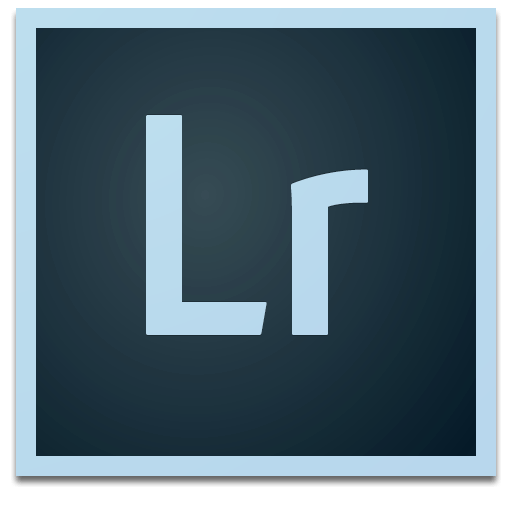 I originally set out to write up a quick blog post about the relatively marginal differences in how the two latest versions of Lightroom handle sharpening. We’re still in limbo while Adobe “collaborates with Fujifilm in investigating methods to improve fine detail rendering and overall edge definition,“ after all. It somehow morphed into what I hope was an interesting exercise in confirming what the optimal methods of sharpening in Lightroom are (Amount vs. Detail, which slider will emerge victorious??? ), the difference between Clarity and the new Dehaze feature, as well as whether or not Lightroom is best tool for the job of extracting detail from RAFs. If you’re up for a fairly long post detailing subtle differences via loads of fancy new before and after slider images, check out my latest Extras piece. It focuses on detail for now, but I hope to add an examples of the “reduced colour blur” once I find a suitable image. Fuji’s Camera Receiver app was pretty cool when it came out. Being able to email a street photography subject’s photo to them on the spot is awesome. Then the Camera Remote app arrived, and that took things to another level. I’ve used that app to capture images for this site1 and for work. It’s so much easier than going to and from the camera to adjust settings, set the timer, run back to the front of the camera, repeat. It’s a fantastic app when it works (most users have no trouble, a few have all kinds).2 With that written, I hope Fuji are putting serious development time into the app, and mobile connectivity in general. Remove the limit of 30 photos at a time, and give me an option to import all new photos. The task of tapping each image and being restricted to 30 at a time is tedious. Allow me to switch between Functions (Remote, Receiver, Browse, Geotagging) without disconnecting the camera, which results in a power-cycling and reconnection juggling act. I’d love to be able to pair the app with my camera to sync/backup and restore my camera and custom settings for all my cameras. Those custom settings banks, by the way, should be nameable, and transferable from camera to camera too. All the available in-camera processing should be available in the app. Whether the rendering happens in-camera or on the device (more on that in a minute), I don’t really care for now. I just want access to real Fuji colour, curves, profiles, and film knowledge in post, on my iPhone. For new flagship cameras, a touch screen that allows us to make these adjustments on the rear LCD of our camera (until editing on our device is possible), and then push it to our phones via that tethering is another possibility. Fuji should not be like all those “Smart TVs” and connect directly to our social networks, offer us weather info, stock prices, or play Netflix. We have devices that do that well already. Connectivity is going to be as important a feature as whatever next generation sensor is in Fuji’s cameras. They’ve nailed image quality, colour, and optics. They need to nail the ease of use customers expect from devices that capture photos. Being able to connect via WiFi is great, but it’s not as seamless as it could be. I leave photos on my camera with the intention of connecting later,4 and I often forget until I copy photos over via the SD card reader in my Mac, like an animal. Maybe I’m just the lazy exception, but I doubt it. Since I started shooting Fuji, like many others, I’ve largely abandoned RAFs for my workflow. For a while, I was shooting RAW + JPEG, but more often than not — I’m talking 90% of the time — I would end up deleting the RAF. Part of this is being satisfied with how JPEGs are rendered in-camera, and the other part is a shift in mindset from “RAW tinkerer” to “shoot and (mostly) be done with it.” I still enjoy post-processing, but I really like being able to do it on my phone wherever and whenever I want. Due to this shift, I’ve been in workflow limbo for the last 18 months. Vacation photos have been copied to Lightroom and forgotten about, while daily photos are sometimes left on my SD card for weeks on end. What changed recently is Apple’s Photos app. I’m attempting to move away from Lightroom for my daily hobby shooting,5 and my SD card stays in my camera as photo transfers are done using the Camera Remote app. This is why the 30 photo limit is getting painful. I’ll still capture RAW + JPEG when I’m out to “make a picture,” but for the most part these days, Film Simulation Bracketing + iPhone editing gets me most of what I want. It’s great, but I want more. The next level is for the app to see RAF files, and prompt me to choose my Film Simulation mode via taps on screen. Then, I should be able to make selections on all image aspects that are currently handled in-camera — Dynamic Range, White Balance, Noise Reduction, Highlights, Shadows, and Sharpness — followed by a “Done” button that pushes the resulting JPEG to my iPhone’s Camera Roll. Again, the actual processing could still be handled in-camera7 if Fuji can’t or don’t want to port their secret sauce to another platform for some reason, all the more reason to make connecting flawless. Fuji has been on quite a tear with their X-Series system. The hardware release schedule continues to astonish and they’re well on their way to becoming the preeminent mirrorless camera company. For Fuji, or any camera manufacturer to continue to be reached for instead of the “good enough” smartphone, they need to put serious resources against mobile connectivity to make it as easy as possible for users to get their superior photos — selfies, eggs benadict → and all — off the camera, and into their social world. Perhaps what I’m asking for has already been considered, maybe even attempted. Maybe it’s impossible. I have a feeling it just hasn’t been a high priority. If it was, the app would probably be optimized for iPhone 6 Plus by now. I hope app development hasn’t stalled completely. Your camera should show up in the list of available networks. Tap it. 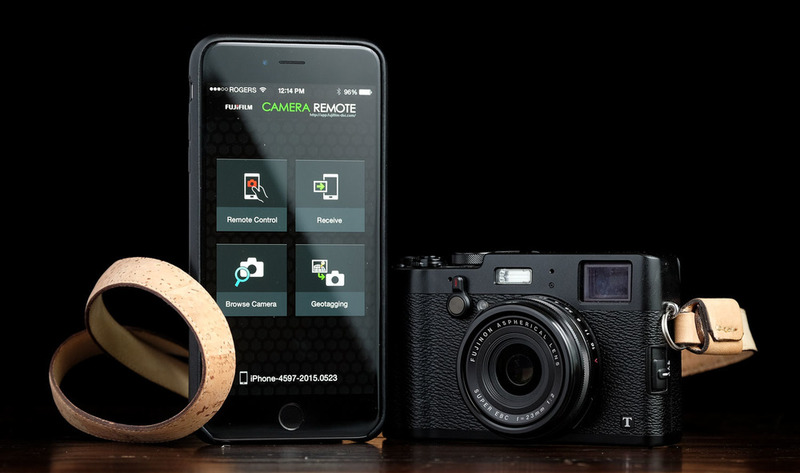 Once your phone has connected to the camera as WiFi, launch the remote app, either select a function (Remote, etc.) and/or tap connect, you may then need to accept on the camera. Connectivity could go even further. Photos could bypass internal storage of any kind entirely, and move straight from the buffer or a cache to a mobile device with adequate storage, then up to the cloud. It’s not hard to imagine a day when our cameras become “dumb boxes” with exquisite lenses attached to them that capture and push sensor data to a mobile device where vendor (Fuji)-specific demosaicing and post processing algorithms can be applied to the images before being saved to the camera roll. Maybe one day.